Canada’s celebrated wellness incentives app, Carrot Rewards, recently introduced new initiatives and partnerships as part of its long-term growth strategy. A new daily step tracker feature allows users of the popular free app to earn rewards for achieving their personalized walking goals. A large majority of BC users are already earning daily rewards for walking and nearly ten billion steps taken by British Columbians this summer have been tracked and rewarded through the Carrot app. Starting today the Carrot app will also be integrated with the industry leading activity tracking device, Fitbit. BC residents will now have one more convenient option for connecting and earning daily activity rewards through Carrot (in addition to Health Kit and Google Fit). Also starting today Sun Life Financial, in close collaboration with the Canadian Diabetes Association, is proudly joining the broader Carrot coalition in British Columbia as the sponsor of all the Steps rewards that BC residents earn through the app. Sun Life is committed to the prevention of diabetes and its related complications. Since announcing support of the cause in late 2012, Sun Life has proudly committed over $13 million towards diabetes awareness, prevention, care and research initiatives. 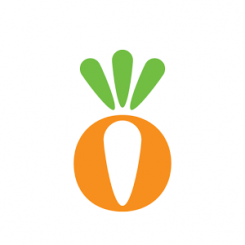 The Carrot Rewards app has seen significant success since it launched in BC six months ago. To date, nearly 2% of British Columbians have downloaded the app and have earned over a hundred million loyalty points just for learning how to live healthier and for achieving simple daily activity goals. Carrot is now being rolled out across the rest of Canada with similarly impressive results. The Government of Canada, through the Public Health Agency of Canada, invested $5 million over five years in the Carrot Rewards app project. The Government of British Columbia provided $2.5 million to support the early launch of the app in B.C. Including contributions from the private sector, a total of more than $15 million has already been invested in this world-leading program.